Spartacus is the latest technology for coating pipes and joints. 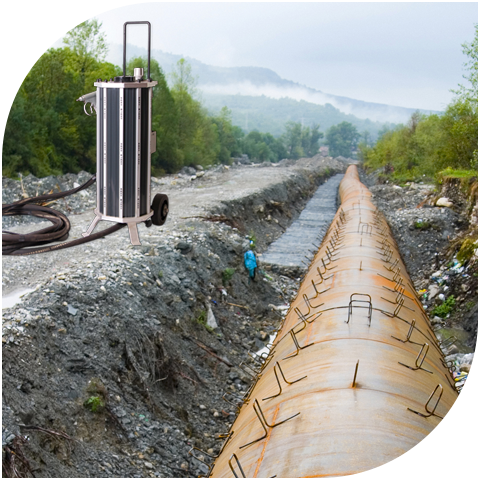 It has proven to be extremely valuable, particularly in the oil and gas industries. Our Coating Systems allow operators to coat joints and make on-site field repairs, even in the most challenging environments. This is the only system of its kind, capable of coating virtually any bend or angle, by liquefying the polymer coating material. Designed for coating PE and PP bends, joints, buckle arrestors and standard pipes. The Spartacus is a lightweight, portable, versatile one-man operation ideal for working in the field. Coatings adhere perfectly to factory finishes for joint applications.Our flame system kills microorganisms prior to coating. Spartacus is extremely valuable for enhancing bond adhesion and preventing long-term corrosion.